Say what you will about travel in India, it can be very educational. 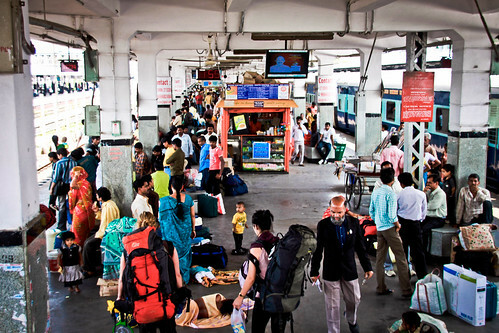 From the gut rot, to the endless jostling, to the odd connections that lead to unexpected turns of fortune, time spent in India can be a crash-course on how to travel better throughout the world. Today I’ve invented five aphorisms to illustrate that a trip to India can provide an important education for future travel in places around the world. Meant to be universal, these phrases can be repeated no matter where you happen to be traveling. Have patience and you will flourish. This lesson may be excruciating but it’s invaluable for travel in India and also in foreign lands in general. If you want to accomplish nearly anything in India you’ll need to wait for it. But in the end the time you spend sitting there watching the tedious executions of all manners of bureaucracy and routine, you’re actually preparing yourself for future events where waiting will be integral to a successful endeavor, tenderizing your patience muscle, so to speak. A smile will take you far. To put it another way, a smile may be thee most effective tool to translate good intent, whether they be locals or other travelers, adults or children. You can’t smile too much. It diffuses fear or apprehension when meeting strangers and helps you connect with them more easily. Quite simply, a smile is your friendship passport. People gravitate to a kind smiling face, hang on to it. A bargain is not necessarily a bargain. It’s all too easy to play the rube during travel in India. No matter how hard you haggle or how much of a deal you think you got, you’ll always run into a guy down the street that will cut that price by 50%. “How much you pay for scarf? 100 rupees? I sell you scarf, 50 rupees. Good price.” And then you buy it just so you can say you got a scarf for 50 rupees. Then you’ll run into a Dutch guy who’ll say he just bought that same scarf for 5 rupees. Having a backpack or a camera on your body instantly singles you out as a walking ATM machine no matter where you are. And it’s easy for the public to mangle to truth in order to make some extra money off the foreigner. But if you come to the situation with this in mind you’ll less likely be bothered by it and more prepared for the outcome, should it go south. The frustration and retribution of haggling in India is told very eloquently in a piece by Iain Manley of the blog Old World Wanderings. Okay, I’m not a religious person, and while it may be difficult for me to understand the cause célèbre of the Guy in the sky, it’s safe to say most countries have vast populations of the devout and the better you understand it the closer to them you’ll feel. 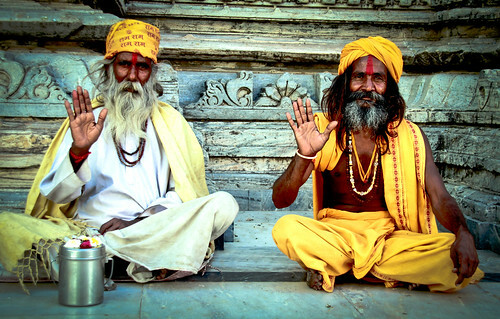 I was dumbfounded by moments of intense almost visceral spirituality all over the country of India. Multiply that by the exponential numbers across the globe and you get an absolute for the traveler’s handbook: pay attention to the religious and respect their dedication. This may be the most important lesson I gleaned from travel in India. Opportunities are numerous to pass on activities because you don’t think you’ve got what it takes. But even as I heard myself whispering “what am I thinking?” as I walked into a strange local restaurant or shop with a crowd of wide-eyed gawkers I realized that whatever sting of embarrassment or feeling of danger I felt would quickly ebb away. And never once did I regret those harried and spontaneous decisions. In the end it seems the world is very much alike no matter where you go – that the blazing symphony of humanity in one place will end up being a textbook to handle a sleepy sprinkling of souls in another.